We know the best time for a child to learn another language is in the first three to four years of life. 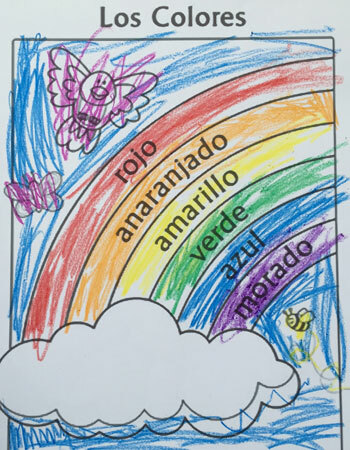 At the Scarsdale Congregational Church Nursery School, we introduce the students to Spanish as a developmental tool and an important way to explore cultural diversity. Beginning in the 3s, all students participate in Spanish language classes once per week. Language is organized by themes, and children will learn words based on those themes. Children may sing songs in Spanish, color worksheets emphasizing the words they’re learning that week, talk about food and culture of various Spanish cultures, and explore various instruments, dances and traditions in Spanish.